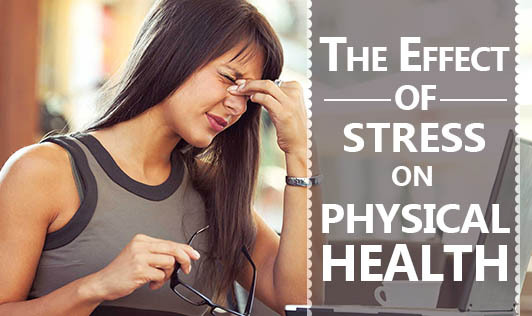 When you are exposed to long periods of stress, your body gives warning signals that something is wrong. These physical, cognitive, emotional, and behavioral warning signs should not be ignored. They tell you that you need to slow down. If you continue to be stressed and you don't give your body a break, you are likely to develop health problems like heart disease. You could also worsen an existing illness. Physical signs: Dizziness, general aches, and pains, grinding teeth, clenched jaws, headaches, indigestion, muscle tension, difficulty sleeping, racing heart, ringing in the ears, stooped posture, sweaty palms, tiredness, exhaustion, trembling, weight gain or loss, upset stomach. Mental signs: Constant worry, difficulty making decisions, forgetfulness, inability to concentrate, lack of creativity, loss of sense of humor, poor memory. Emotional signs: Anger, anxiety, crying, depression, feeling powerless, frequent mood swings, irritability, loneliness, negative thinking, nervousness, sadness. Behavioral signs: Bossiness, compulsive eating, critical attitude of others, explosive actions, frequent job changes, impulsive actions, increased use of alcohol or drugs, withdrawal from relationships or social situations.